There are 4,922 students identified as homeless in Charlotte-Mecklenburg Schools. An organization called A Childʼs Place is making a difference in the lives of those students. Check out this video and find out why what A Childʼs Place does is so important. 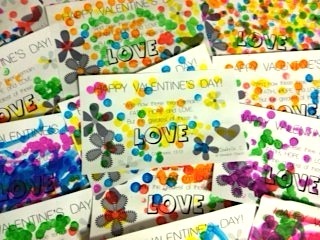 Safari kids (1 and 2 year olds) created 293 Valentine’s Place Mats to be distributed on February 14 to A Child’s Place staff, volunteers, and to use during the Lunch Buddy program. Quest kids (3 years – kindergarten) created 554 snack packs that will provide children a nutritious snack while outside of school. Motion kids (1st – 5th grade) created 2,307 hygiene kits to supply basic needs to kids and families. Join the movement of God at Elevation Church as we lead the way in generosity and service. Visit Elevation Outreach to get involved and serve others. 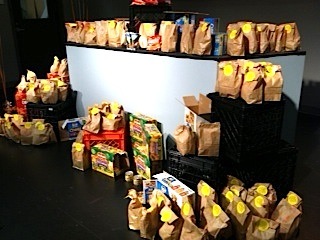 My children really enjoyed mking the bags for the children in need this past weekend. I’m glad that you guys show our children that it is important to help others in our community.